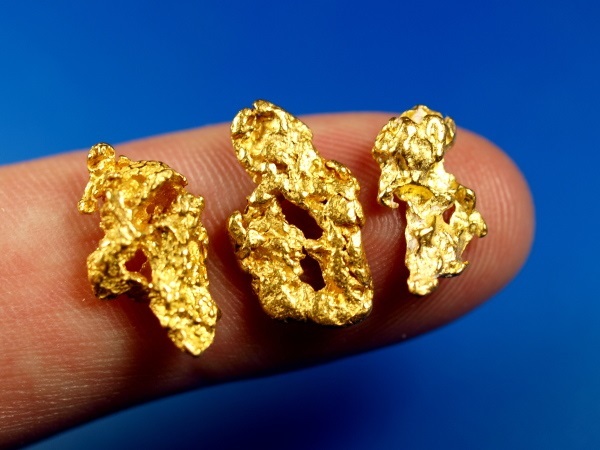 Here are three beautiful gold nuggets from Australia. These all have small natural holes in them. Their combined weight is 6.14 grams.